Despite having multiple All Pro caliber players across their offensive line, the Dallas Cowboys could be looking to improve their depth up front during the 2019 NFL Draft. This week, the 2019 Senior Bowl kicks off, giving the Cowboys a chance to view some of the most talented draft-eligible seniors in college football. This is a rather solid class of offensive tackles at the Senior Bowl, with multiple players having first round potential, including Kansas State's Dalton Risner. Let's take a look at three offensive tackles participating in the Senior Bowl that you should get to know, especially if they last until the 58th overall pick or beyond. 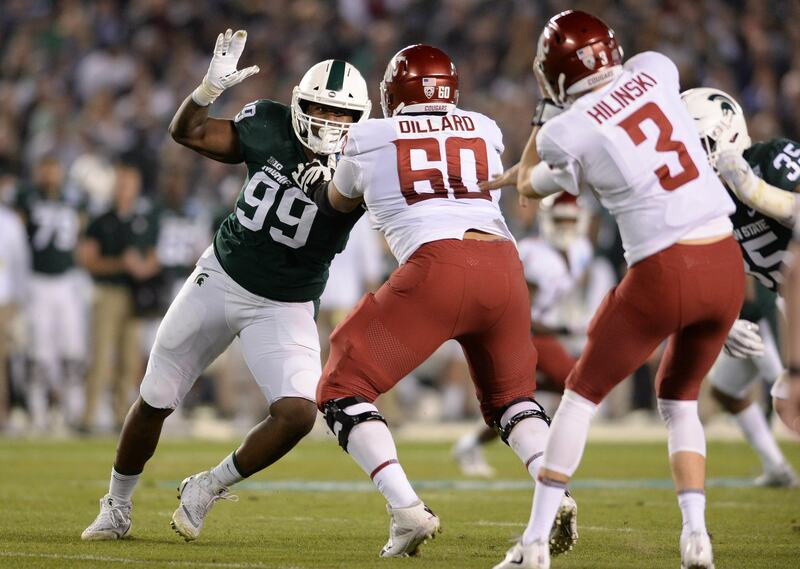 Thought of by some respected draftniks as a developmental tackle prospect, Andre Dillard is an intriguing draft option for the Dallas Cowboys this year. The red shirt senior stands at 6'5" 305 pounds, and has one of the smoothest pass sets in this draft class. Where Dillard struggles most on film is with his power. Though he is an athletic tackle with good footwork, he struggles with functional power in the run game and with his anchor in his pass set. 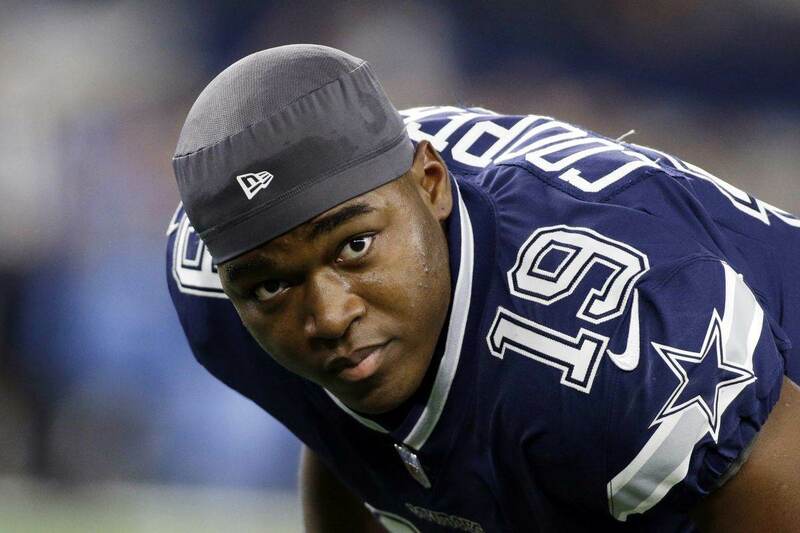 These issues won't scare away the Cowboys, however. At least they didn't last year, when the Cowboys took the athletic but strength-lacking Connor Williams 50th overall in the draft. Dillard would be a nice addition as a swing tackle to provide depth behind Tyron Smith, and can potentially become a starter in their zone blocking scheme down the line. Speaking of developmental tackle prospects, meet USC's Chuma Edoga. Edoga is an athletic tackle with fluid movement skills, and will intrigue teams with his raw skills and tools in the coming weeks. But on film, there's no question that Edoga has some ways to go. Edoga would fit nicely in Dallas' run blocking scheme, working well in wide/outside zone looks. He's also a long and strong prospect, which will make any tackle-starved NFL team take a closer look at him. But Edoga will need to improve as a pass blocker, both in terms of his pass set and his hand fighting, if he is to become am effective starting tackle at the next level. If he can get more patient in his set, letting his work come to him will staying aggressive in his punch, Edoga could be a real pro. Who doesn't love a small school sleeper prospect? Tytus Howard has all the makings of the small school sweetheart of this offensive tackle class, and can make himself a household draft name at the Senior Bowl this week. At 6'6" and 310 pounds, while remaining smooth and athletic, Howard is going to become some teams' pet cat immediately. In Howard's most notable college game he played well against Auburn, but will need to prove he can do it consistently against good competition during the Senior Bowl.